There are some traditions that I’m glad only come around once per year. Like Valentine’s Day. Road trips to Vegas. Or midget wrestling at the local minor league ballpark. Sure, they can be fun, but once a year is plenty. 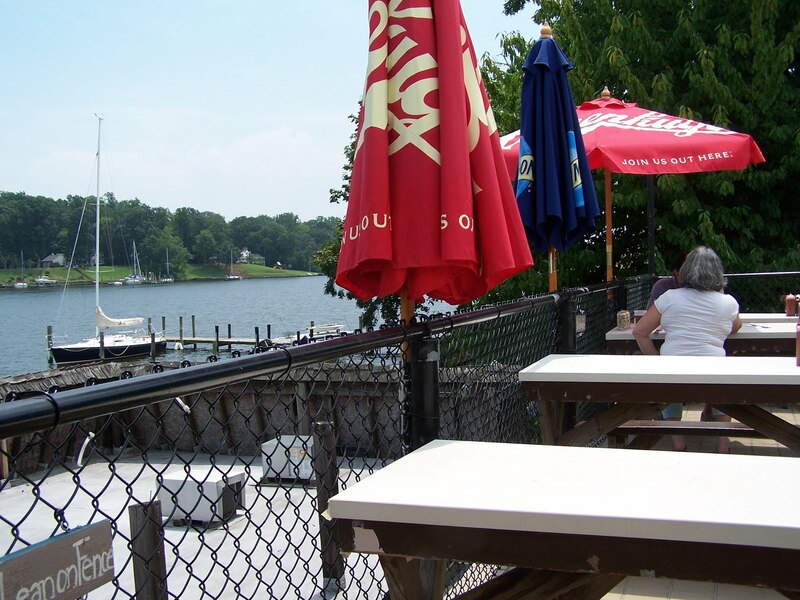 For Suit757, sitting outside on the Chesapeake Bay, drinking beer and picking crabs is kind of like that. For one thing, if it were more than an annual tradition, I’d go broke. Cantler’s on Mill Creek in Annapolis set me back $150. That’s $150 for five cans of beer (hey, the humidity and Old Bay makes you thirsty), a side of hush puppies and a dozen steamed crabs. Holy molly. 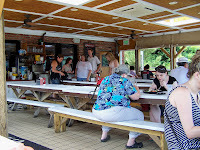 I just wanted to wile away a few hours on the outdoor deck at Cantler’s. I didn’t offer to buy the damn place. So I know you are dying to know. 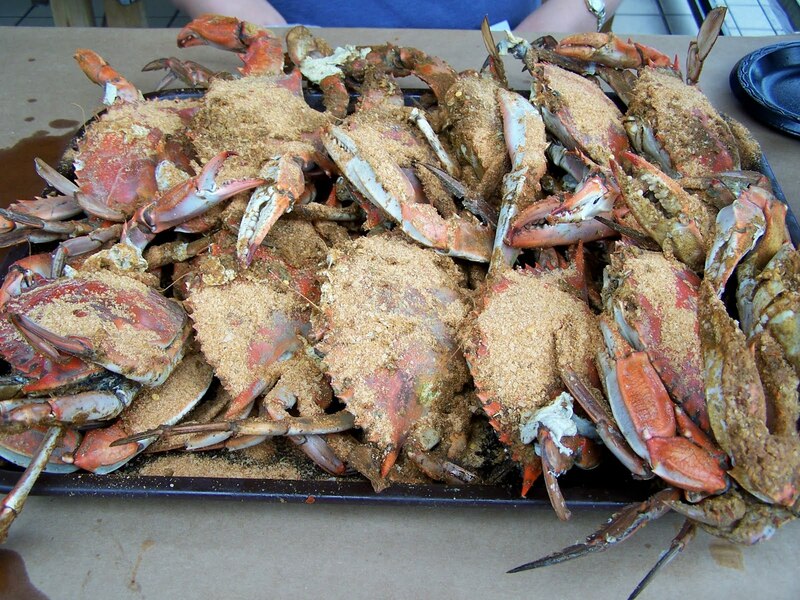 For one and a half Benjamins, these better be the crabs of my dreams. Unfortunately, they weren’t even close. The first crab I picked up had been so over-steamed, the crab meat inside had been liquefied. Same with the second one. No crab meat, just crab mush. Picking crabs (besides being exorbitant) is hard work. In fact, I’m pretty sure I burn more calories than I consume in the process. A good old fashioned Chesapeake Bay crab feast is about sitting outside on the water under the sun, drinking cans of ice cold American beer and good conversion. In other words, it’s an event, not a meal. That being said, you still want some actual crab meat reward for all that hard work (and hard earned dough). So I brought my defective crabs to the attention of the waitress and manager. They brought me out a few new ones and asked me to keep trying the others in the hopes that I just got unlucky on the first two. 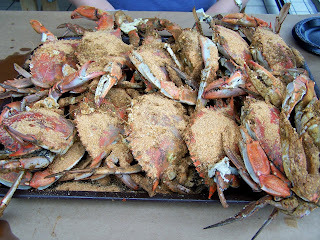 Somehow they seemed reluctant to trash an entire tray of crabs that costs more than a new I-Pod. Sure enough, the rest were somewhat better, but all were a bit mushy – even the “fresh” ones they brought out. Not a single crab produced that euphoric sensation of pulling out big hunk of firm white crab meat. I have no idea what the problem was. Cantler’s has been packing them in for 36 years. Surely Cantler’s hasn’t forgotten how to steam crabs. A four hour wait for a table on weekends is not unheard of. 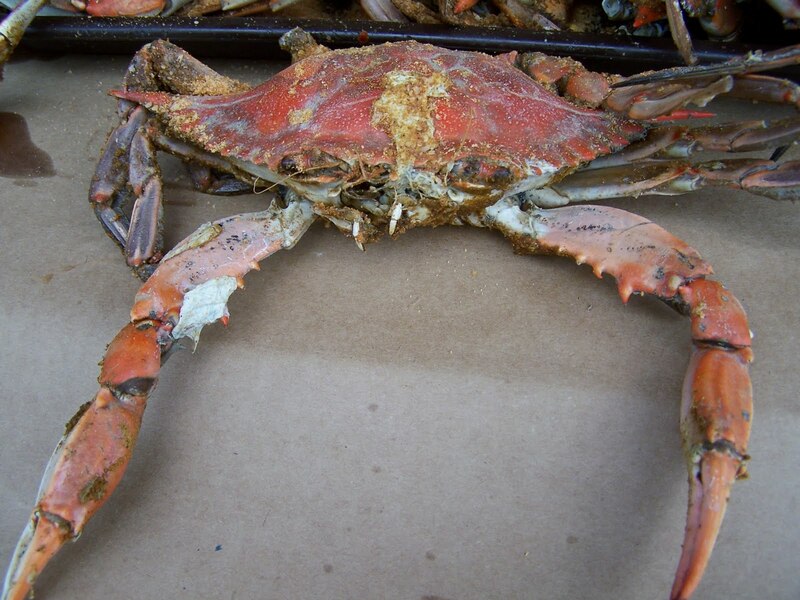 Nobody in their right mind stands around in a parking lot for four hours waiting to eat lousy, over-steamed crab mush. But maybe those weekend crowds were the problem. 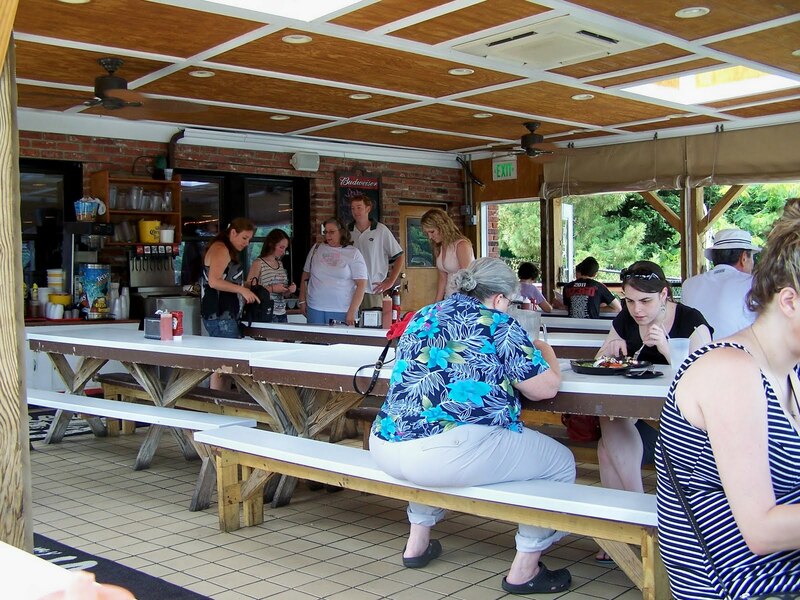 Remember how reluctant the manager was to toss my tray of bad crabs? 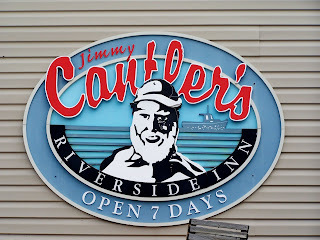 What if Cantler’s ended up with a bunch of left-over crabs from a smaller than expected weekend crowd? 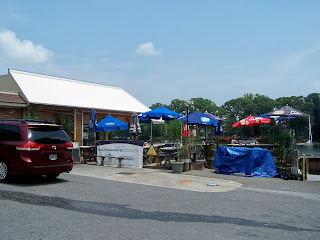 That’s the risk you take coming to a crab house at noon on a Monday (after a weekend that set the all-time highest temperature ever recorded in Maryland history). Is it possible Cantler’s might serve warmed-over left-over crabs from the weekend? For Cantler’s sake, I sure hope not. There’s no quicker way to torpedo a hard-earned four decade reputation. The first rule of crabbing is you want those babies kickin’ when the crab pot starts steamin’. 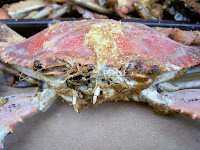 The frivolity of spending hours piling up a mountain of crab carcasses and empty beer cans is greatly diminished when the mushy crab meat you extract is hardly worth the effort. To make matters worse, the bright summer sunshine gave way to ominous black clouds, then thunder -- and finally rain. Thank goodness for beer and hushpuppies. 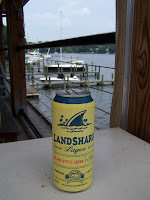 Unfortunately, Cantler’s only serves beer in the can. For five and a quarter a pop. By rule, I ordered the least ubiquitous beer available. 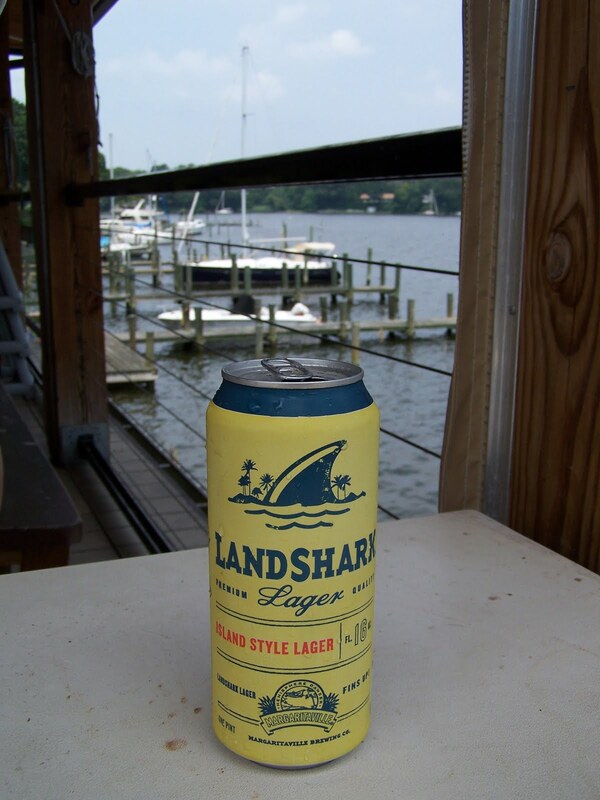 In this case, that was Land Shark, a beer brewed by Anheuser Busch at their Jacksonville, Florida brewery that tastes suspiciously like Budweiser. But hey, A-B is paying Jimmy Buffett millions of dollars per year to use his trademark, so that makes it cool. Right? Well, maybe half a notch cooler than drinking the same beer out of a red, white and blue Bud can. 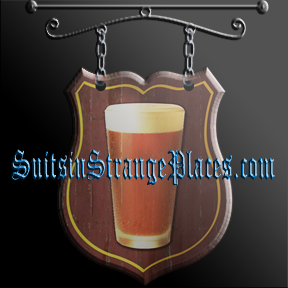 I guess I’m just a sucker for good marketing. 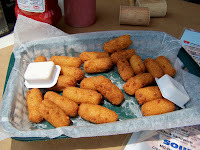 Which brings me to the hush puppies, whose primary purpose is to soak up all that Land Shark. Crab meat, even when is in something other than mush form, doesn’t provide much sustenance. 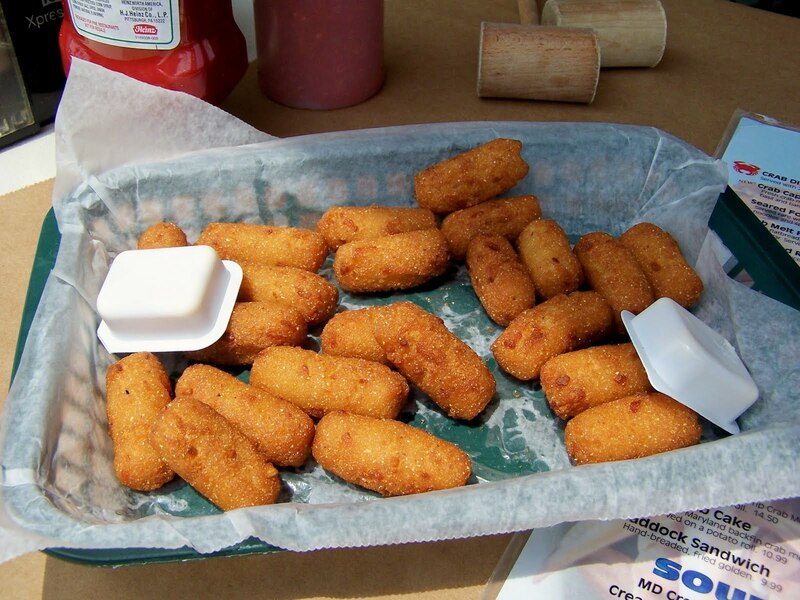 You need a basket of hush puppies to ensure that you don’t leave your $150 meal drunk and hungry. Canter’s hush puppies were okay, but certainly not approaching anything near legendary status. In fact, I didn’t even finish them all. After three hours of picking, cracking, hammering, drinking and hush puppy munching I was done. I couldn’t munch one more puppy or lick one more morsel of Old Bay seasoned crab mush off my finger tips. Not so much full -- but exhausted. 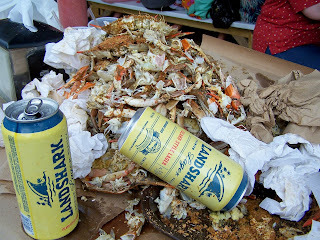 Like I said, crab feasts are hard work. At least I have a year to recover. 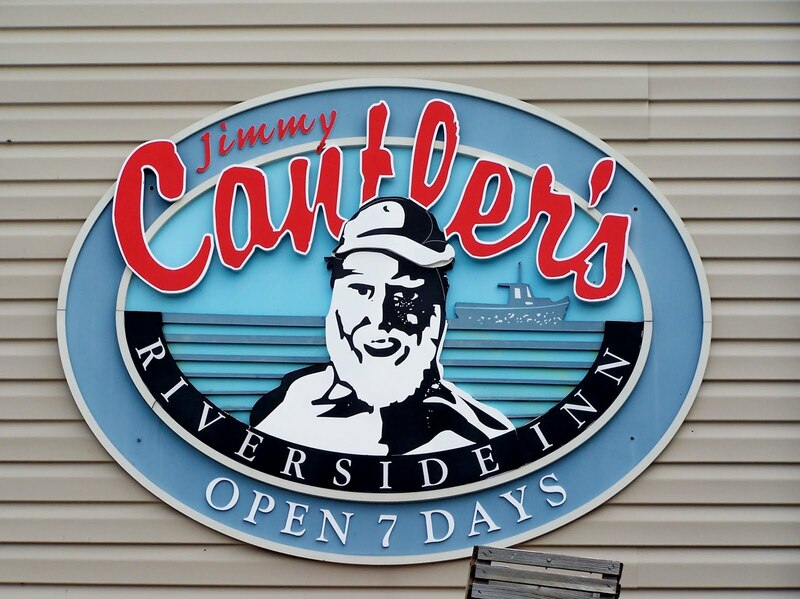 But the next one definitely won’t be at Cantler’s. Rating: Wouldn’t Wear Shirt If They Paid Me.